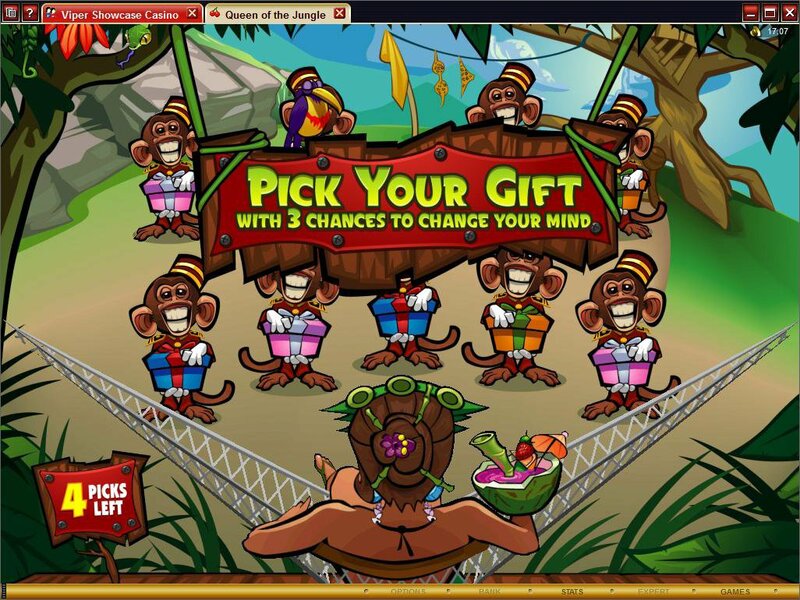 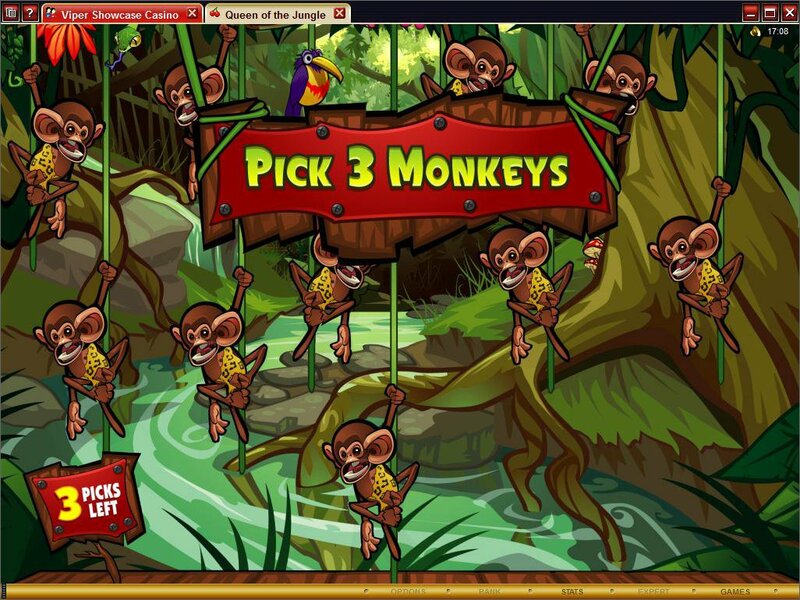 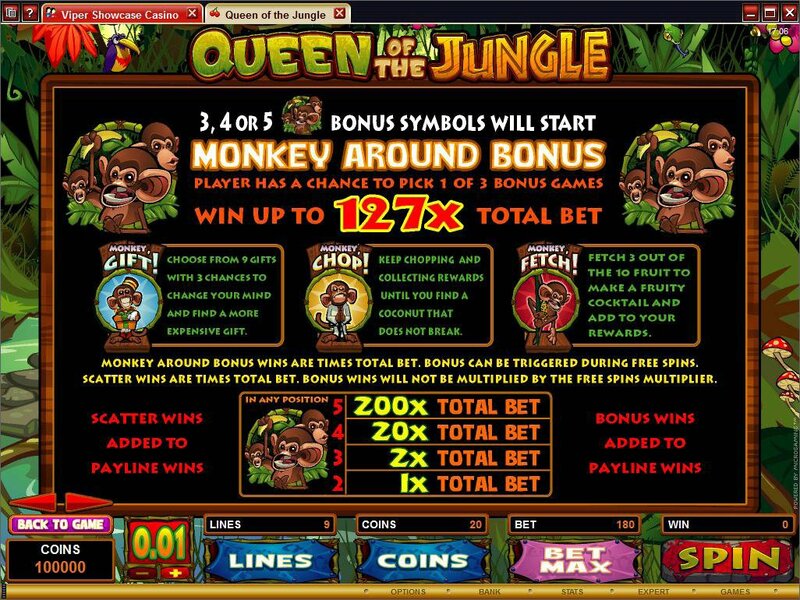 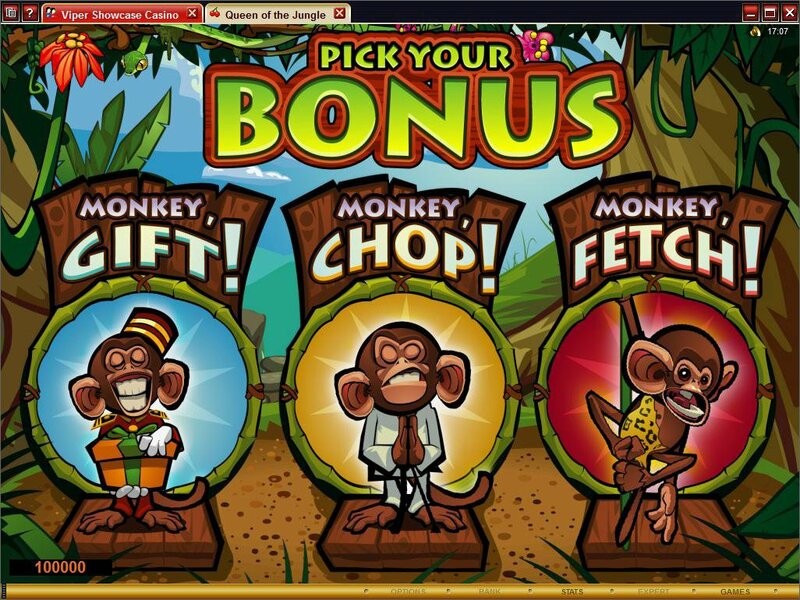 Overview: Friendly monkeys help players to score a slew of rewards in QUEEN OF THE JUNGLE, the latest 5 reel, 9 pay-line, multi-featured slot available this week. 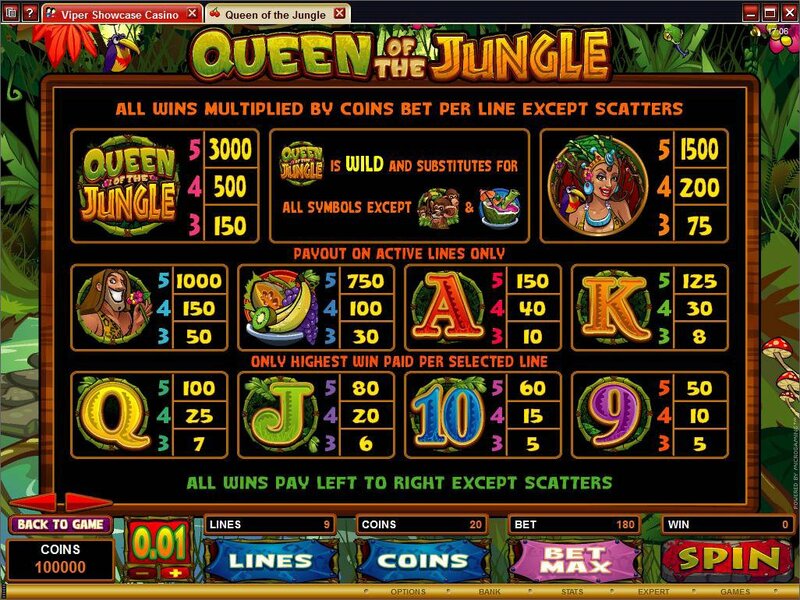 Loaded with Wilds, Scatters, Free Spins, Multipliers and 3 different bonus games, Queen of the Jungle provides a rich and interactive jungle tapestry where players can achieve rewards of up to 30 000.00 in the base game, three times that on generous free spins and up to 127x Total bet on the entertaining selection of bonus rewards. 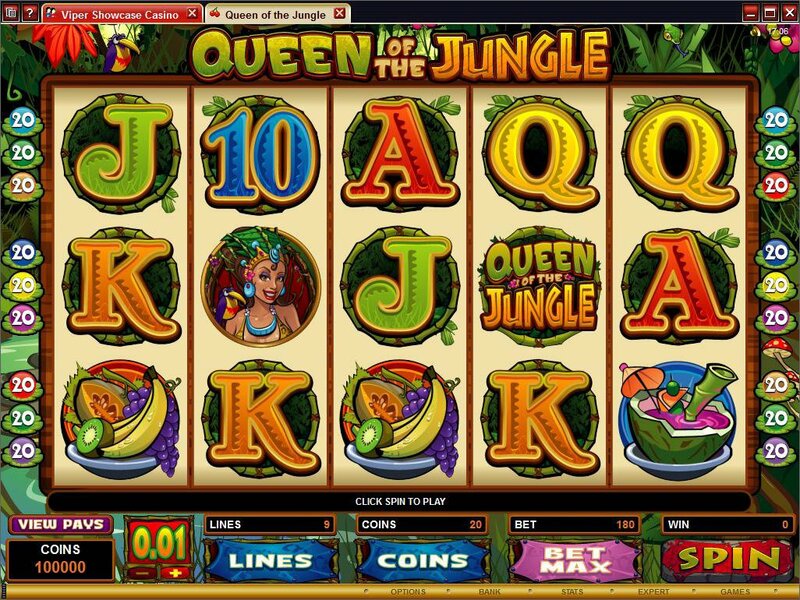 Clear and colourful graphics set the jungle theme here; redolent with lush tropical fruits, exotic jungle cocktails and a range of helpful characters that includes the beautiful Queen of the Jungle herself, some cute and service-oriented monkeys and a Tarzan-like persona. 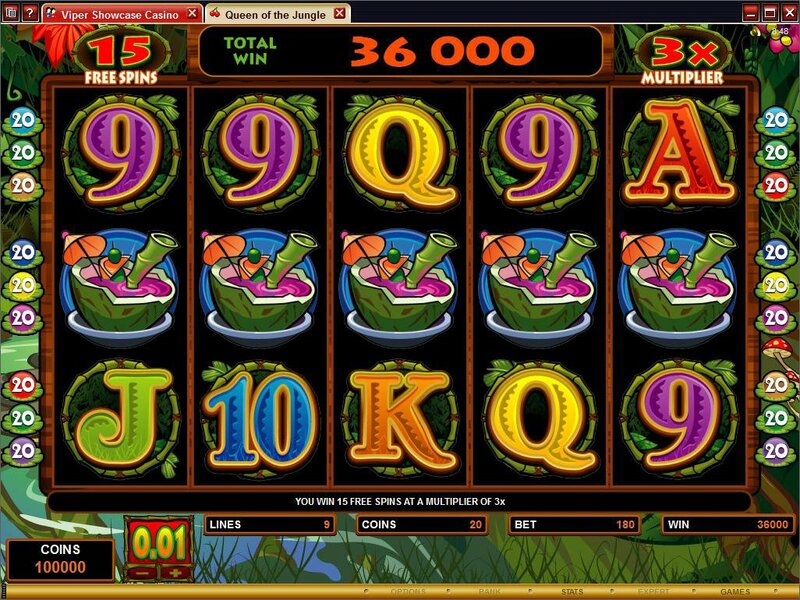 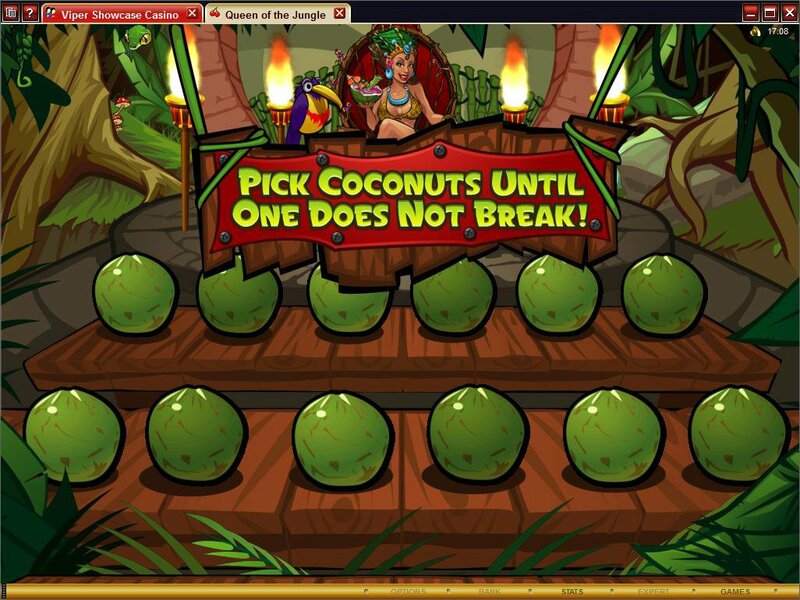 Similar Slots: If you like Queen of the Jungle, you might like these other 5-reel slot machines: Crazy Chameleons, Harveys, Mad Dash, Rat Pack, Thunderstruck, Wasabi-San.